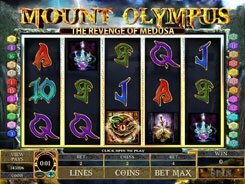 This is a 5-reel 25-payline video slot based on an Ancient Greek myth about Medusa who had snakes in place of her hair, and just a sight of it could turn everyone to stone. 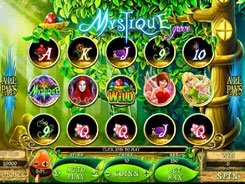 The game features a wild, a scatter, free spins and a fixed jackpot of $5000. 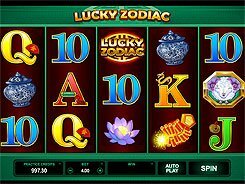 A coin size comes in a range from $0.01 to $0.5, and a total bet can be adjusted up to $125 per spin. Along with themed symbols like potions, swords or the Medusa’s eye, there are playing card icons. A wild substitutes for other symbols and doubles payouts when doing so, but a wild does not create its own winning combos. 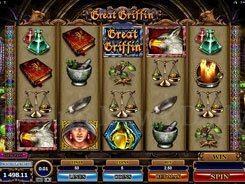 Three or more scatters (game logos) activate five non-retriggerable free spins with an added bonus feature. 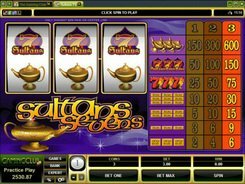 Before every free spin, you have to select one of the five snakes which will then reveal the number of reels that will turn completely wild for the next spin. 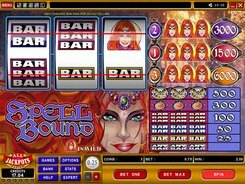 The round of free spins can be very lucrative if you manage to morph the maximum possible of four reels into wilds.